The sale of 26 masterworks from the collection of Morton and Barbara Mandel will take place in a dedicated auction on the evening of 16 May 2018 in New York. 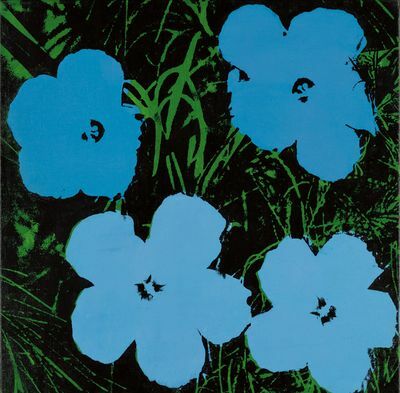 A pioneering entrepreneur and philanthropist, Morton Mandel, together with his wife Barbara, amassed an enviable collection over several decades, which spans many of the most important artistic movements of the 20th century: from Surrealism and Abstract Expressionism; to Minimalism and Pop, with an equal emphasis on paintings, works-on-paper and sculpture. One of the great masterpieces of Joan Miró’s late career, Femme, oiseau recalls the work of the abstract expressionists on whom the artist had been a great influence. Dating from circa 1969, the arresting oil is a poetic example of abstraction at its most daring with expressive brushwork instead of the women, stars, birds and moons that had been found in his earlier painting. Miró builds the present composition using a pictorial lexicon of signs and symbols, while still referencing recognizable objects, such as human figures. Working with thick lines and monochromatic spaces as his central compositional elements, Miró fully explored the possibilities of movement within a two dimensional field. Mark Rothko’s 1969 Untitled work- on -paper is an archetypal embodiment of the artist’s legendary color -field compositions and was created the year before his death. 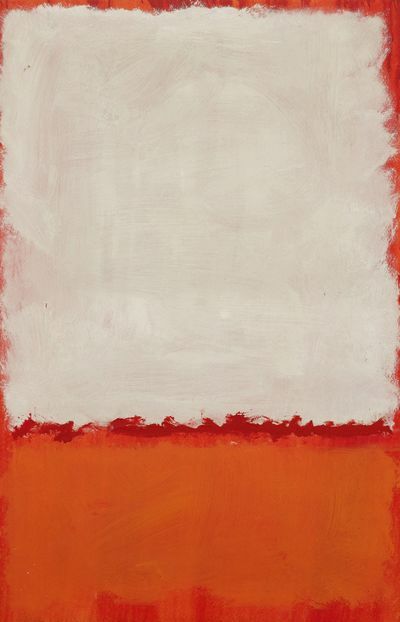 While much of Rothko’s late work was characterized by a dark palette, Untitled boasts a ground of brilliant red emerging from serene fields of white and a warm orange. The cloud -like form of gestural white brushwork lends this example a stirring presence, testifying to the immense power of this medium for the artist who, in the twilight years of his career, focused his ene rgies upon exploring the absolute limits of painting on paper. Untitled represents the exquisite culmination of Rothko’s career -long pursuit of aesthetic transcendence through the conflation of pure color and light. Untitled VI dates from the watershed period when de Kooning returned to painting after a period in which he focused on sculpture. The 1978 work explodes with color executed in lush, sensuous paint strokes which denote the artist’s wealth of creativity and great resurgence of confidence in his masterful manipulatio n of oil paint during this time. De Kooning was one of the abstract expressionists from whom Joan Miró took inspiration for his later works such as Femme, oiseau . The work uses a language of signs and symbols while still referencing human figures to explo re the possibilities of movement on canvas. Extraordinarily colorful, Femme, oiseau was completed in Miró’s Palma studio and remained in his collection until his death. 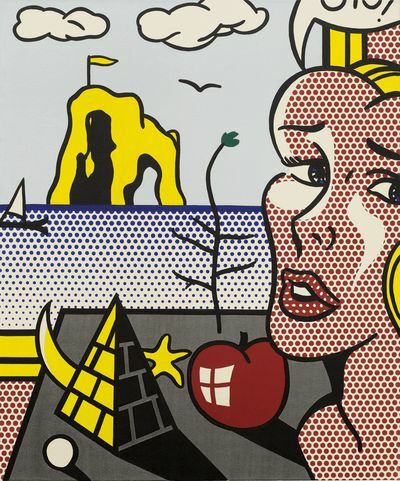 With compressed space and symbol s echoing many of the movement’s masters, the enduring influence of Surrealism is evident in Roy Lichtenstein’s Girl with Still Life in Landscape from 1976. The cropped comic strip speech bubble floats away fro m the artist’s iconic blonde girl, who seduces the viewer from within a dream landscape amidst an array of important Surrealist motifs such as the pyramid, moon, starfish, apple, tree and sailboat. A paragon of the artist’s celebrated Surrealist paintings, Girl with Still Life in Landscape is one of few works from this series remaining in private hands, with many held in renowned institutional collections such as the Solomon R. Guggenheim Museum, The Metropolitan Museum of Art, and the Louisiana Museum of M odern Art, Denmark, among others. Donald Judd Untitled 1993 Brass and green Plexiglas, in ten parts Estimate $8/12 million Untitled from 1993 is a pivotal example of Donald Judd’s seminal group of works known as stacks, which he began in 1965. The work was acquired by the Mandels in the same year as its execution and as such has remained unseen by the public. Ten rectangular units of glistening polished brass and green Plexiglas exemplify this iconic format for the artist in a grand scale, with the reduced composition of forms embodying the central tenets of Judd’s artistic practice.